Notice is hereby given in terms of the Local Government: Municipal Finance Management Act (No 56 of 2003), read with the Municipal Asset Transfer Regulations (R878 of 2008), the Promotion of Administrative Justice Act (No 3 of 2000), as well as the Local Government: Municipal Systems Act (No. 32 of 2000), that the Council of the Garden Route District Municipality, in terms of Resolution H.4 intends to enter into a long-term lease agreement (50 years) with Ikusasa Processing Engineering Consultants, to construct a chemical manufacturing plant on a portion of erf 419, Mossel Bay. This plant, as proposed, will have the capabilities to manufacture products for various sectors such as Agriculture, Water Treatment, Textiles and Roads, with the ability to expand its product range in the future. The Applicant will also be responsible for all the costs, which includes the sub-division costs of the property. The property is, in terms of the provisions of section 14 of the Local Government: Municipal Finance Management Act, 2003 (Act 56 of 2003), not required for the purposes of providing minimum basic municipal services. Any comments and/or objections to the proposed long-term lease, with your reasons for such objection(s), must be submitted in writing and addressed to: The Municipal Manager, Garden Route District Municipality, P O Box 12, George, 6530, by no later than Friday, 14 June 2019. Any comments and/or objections which are received after the abovementioned closing date, will not be taken into consideration. Any enquiries may be directed to Mr L Menze, Planning & Economic Development, at telephone number (044) 803 1398 or per email to properties@grdm.gov.za. This notice is also available on the website of the Municipality at www.gardenroute.gov.za. Notice is hereby given in terms of the Local Government: Municipal Finance Management Act, (No 56 of 2003) read with the Asset Transfer Regulations, R878 of 2008, the Promotion of Administrative Justice Act, as well as the Local Government: Municipal Systems Act (No.32 of 2000), that the Council of Garden Route District Municipality in terms of Resolution H.2 intends to enter into a long term lease agreement (50 years) with Moumakoe Energy (Pty) Ltd, to construct a lubricant plant and petroleum storage tanks facilities on a portion of erf 419, Mossel Bay. The lease will attract a multi-million rand investment into the local economy. It is envisaged that the tanks will be integrated into the existing system (pipes) that are used by other petrochemical plants in the region. The property is, in terms of the provisions of Section 14 of the Local Government: Municipal Finance Management Act, 2003 (Act 56 of 2003) not required for the purposes of providing minimum basic municipal services. Any comments and/or objections to the proposed long-term lease, with your reasons for such objection(s), must be submitted in writing and addressed to: The Municipal Manager, Garden Route District Municipality, P O Box 12, George, 6530, by no later than Friday, 14 June 2019. Any comments and/or objections which are received after the abovementioned closing date, will not be taken into consideration. Any enquiries may be directed to Mr L. Menze, Planning & Economic Development, at telephone number (044) 803 1398 or email properties@grdm.gov.za. 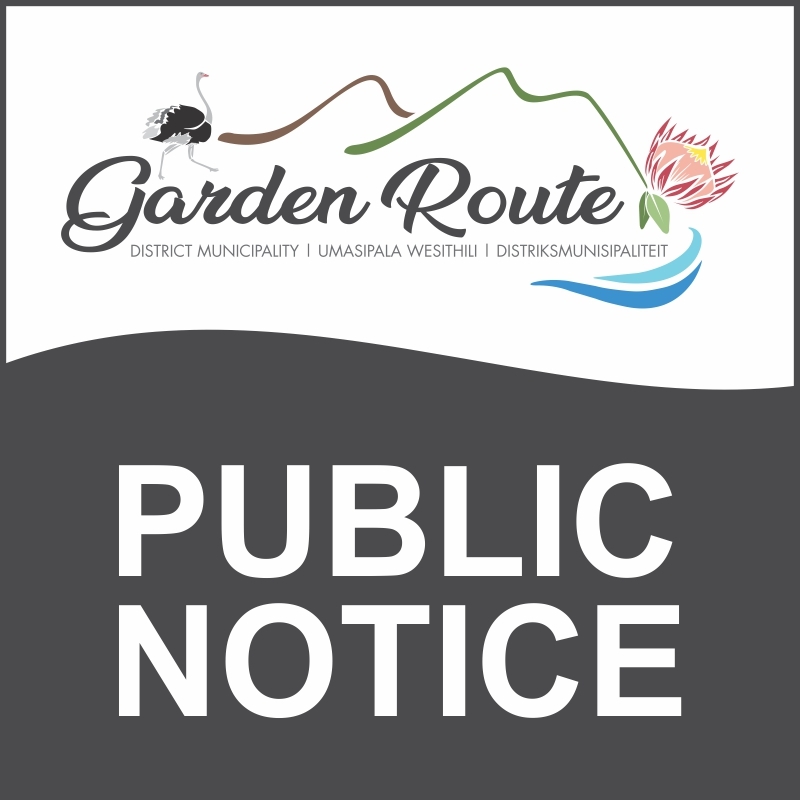 This notice is also available on the website of the Municipality at www.gardenroute.gov.za. In terms of Section 21(4) of the Local Government: Municipal Systems Act, notice is hereby given that people who cannot write may approach the Property Management Department during office hours, where a staff member will assist them to submit their comments or objections. 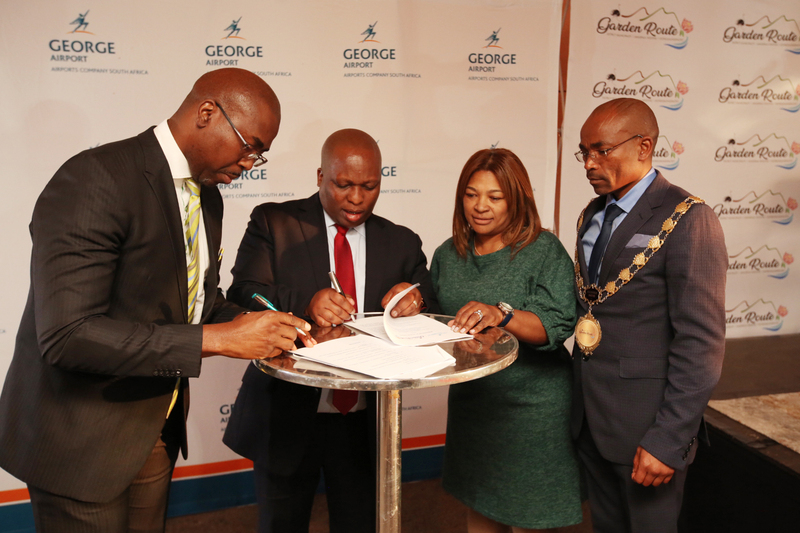 28 September 2018 – Garden Route District Municipality (Garden Route DM) and George Airport signed a Memorandum of Understanding (MOU) signifying a commitment to enhance connectivity between national gateways, cities and surrounding areas through a 3-phase collaborative project. After signing the MOU, Mr Charles Shilowa, Airports Company South Africa’s (ACSA) Group Executive Business Development, said: “A journey of a thousand miles starts with one step. There have been ongoing discussions between the ACSA team and Garden Route DM about access to the George Airport, which serves as a gateway to this district. The Airport is strategically positioned for economic activity, and this is one of the reasons why a partnership between ACSA and Garden Route DM – will ensure that the aspirations stimulating economic growth in the region are realised. This will be achieved as we continue to work together”. 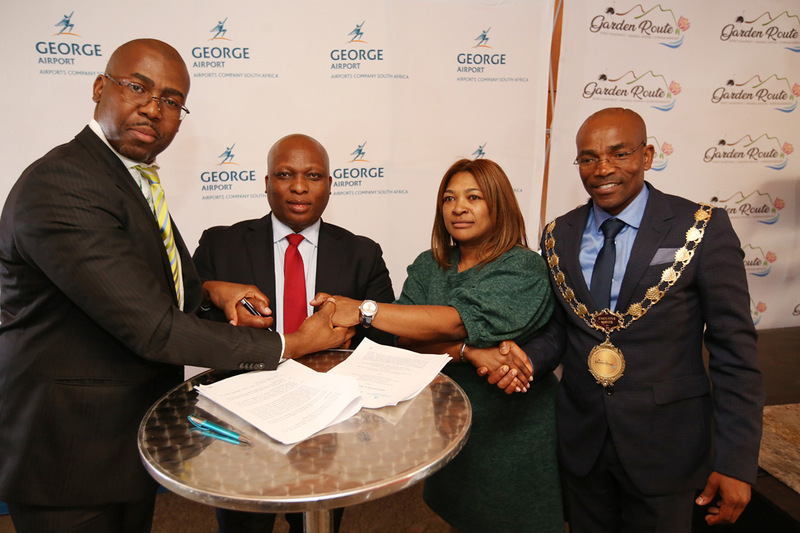 The first phase commenced when the MOU was signed by (fltr), ACSA Group Executive: Business Development, Mr Charles Shilowa; Garden Route DM Municipal Manager, Mr Monde Stratu; George Airport Manager, Ms Brenda Vorster and Garden Route DM Executive Mayor, Cllr Memory Booysen. A project team will be appointed to compile a list of business cases that focus on target markets and prospective markets that could be reached by a non-stop air service. The establishment of the Steering and Project Committees through the nomination of representatives by all stakeholders. The possibility of involving more direct private sector participation in the project. Mr Monde Stratu, Garden Route DM Municipal Manager, also hinted at ACSA’s leadership to think about how the renaming of George Airport to Garden Route International Airport would affect the region. “When selling and marketing the region as a tourism destination and investment hub, it makes sense to speak from the same book,” said Stratu. He also made it clear that there is no obligation on any business to change their name, but that “there is every reason, for if you think about it, in marketing and strategy, to align oneself to this new name”. ACSA owns and manages 9 airports, three national and 6 regional airports. George Airport currently forms part of the 6 regional airports. Airports Council International last year, awarded the George Airport with “Service” and “Safety” awards. This was done after comparing the airport to the rest of the African continent. This means that the George Airport is considered as one of the best regional airports in Africa. 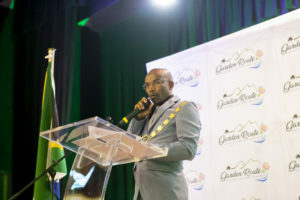 Since the first Garden Route Investment Conference was held on 7 and 8 March 2018, Garden Route District Municipality (GRDM), has been in various promising engagements with domestic and foreign investors. First of many negotiations has already secured an R1-billion investment in Garden Route, accompanied by 3000 jobs over the next five years. 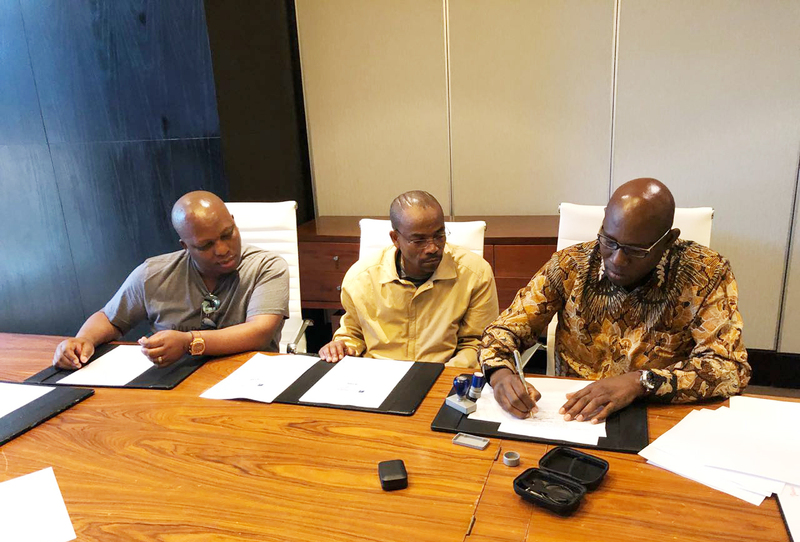 This follows after the GRDM Council entered into a Memorandum of Understanding with Ikusasa Processing Engineering Consultants (Pty) Ltd on 28 August 2018. 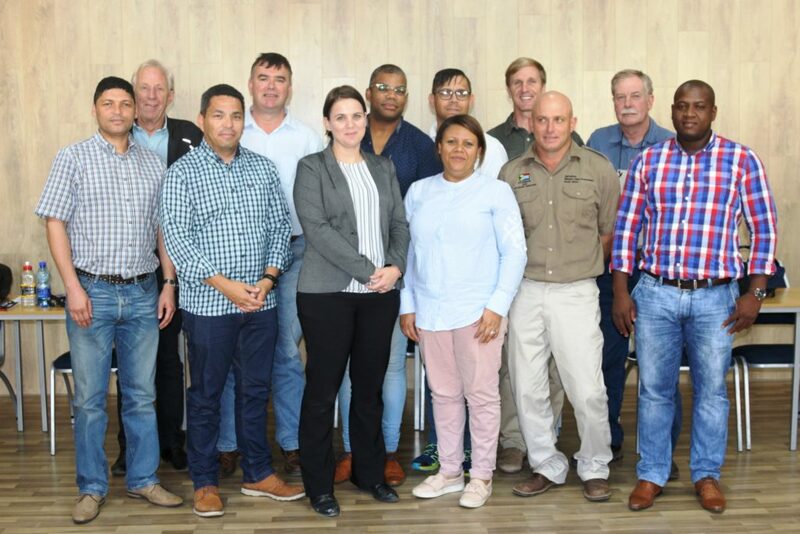 A report to the GRDM Council unpacked the conditions relating to a long-term lease of one of GRDM’s properties next to PetroSA to Ikusasa who will erect a Chemical Plant that will support the timber, water and textile sectors. Currently, in its design phase, the project will be implemented after a few weeks. It is envisaged that the factory will be fully operational by the end of 2019. 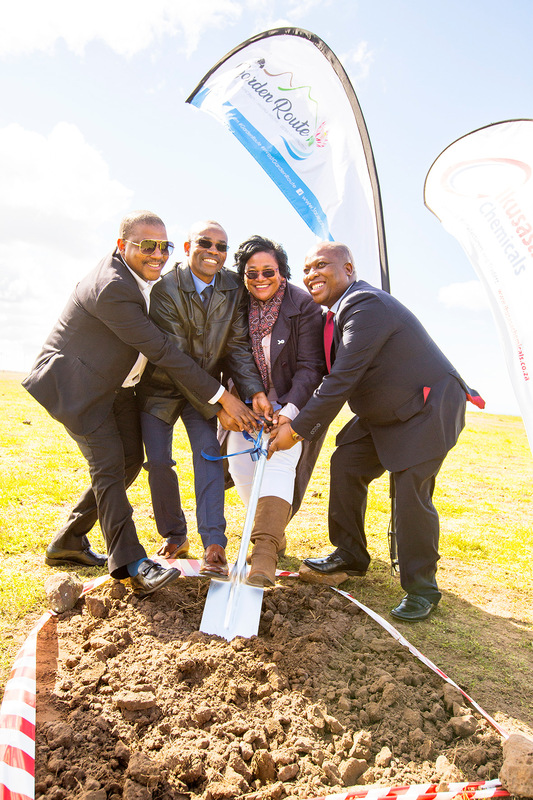 Sod-turning symbolising the birth of an initiative which will bring a positive change to the Garden Route. Pictured, FLTR: Mr Khakhaza Mhlauli ( CEO – Ikusasa Process Engineering Consultants, Ikusasa Chemicals, Ikusasa Water), Cllr Memory Booysen (GRDM Executive Mayor), Cllr Rosina Ruiters (GRDM Deputy Executive Mayor) and Mr Monde Stratu (GRDM Municipal Manager). 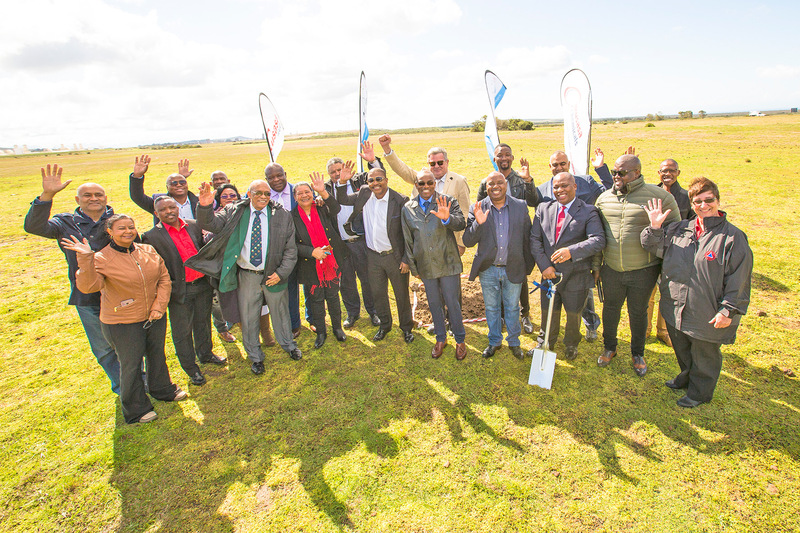 A Sod-Turning Ceremony was held on 28 September 2018 at the property. During the ceremony, Cllr Memory Booysen, GRDM Executive Mayor explained: “GRDM is in partnership with Mossel Bay Local Municipality and by working together, we are going to use the law to fast-track the process. We have seen other economic developments in Kouga, Richard’s Bay, Saldanha – now is the time for development to happen here”. Mayor Booysen also talked about the regional landfill site which will soon be constructed in the same piece of land. He mentioned that these developmentswould benefit mostly people around the area. The key stakeholders invited to witness this ceremony included Mossel Bay Municipality, PetroSA, the Mossel Bay Port and Private Sector Partners and they will all play a pivotal role in the success of the project. With the site being positioned next to PetroSA, it will have many advantages. A close working relationship and the supply of products which are specific to PetroSA will be developed. Exports and imports via the Transnet Mossel Bay Port, less than 10km from the site, will have a positive effect on the economy and jobs. The N2 is also strategically connecting the site to other parts of the region. As this project grows, it could see Mossel Bay recognised as a special economic zone that will become an industrial hub of the Western Cape and South Africa. 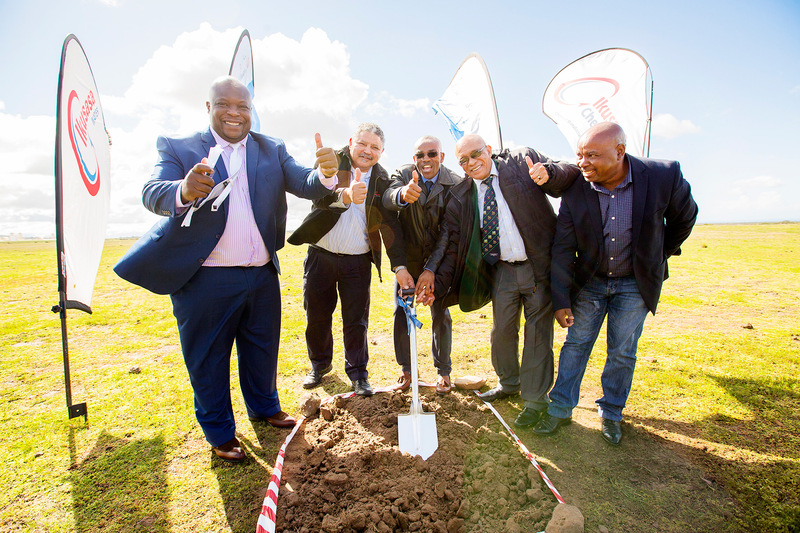 Cllr Harry Levendal, Mossel Bay Municipality’s Executive Mayor, welcomed the development and said: “This is a first of big thing that will happen in Mossel Bay. If you believe that something will happen and you go for it – it will happen. We cannot sit and wait for things to happen. I am thankful for Garden Route DM for their efforts to attract investment to the area”. The group of dignitaries who witnessed the Sod-Turning Ceremony. Stakeholders include GRDM, Mossel Bay Municipality, Ikusasa, Transnet Mossel Bay Port and PetroSA. 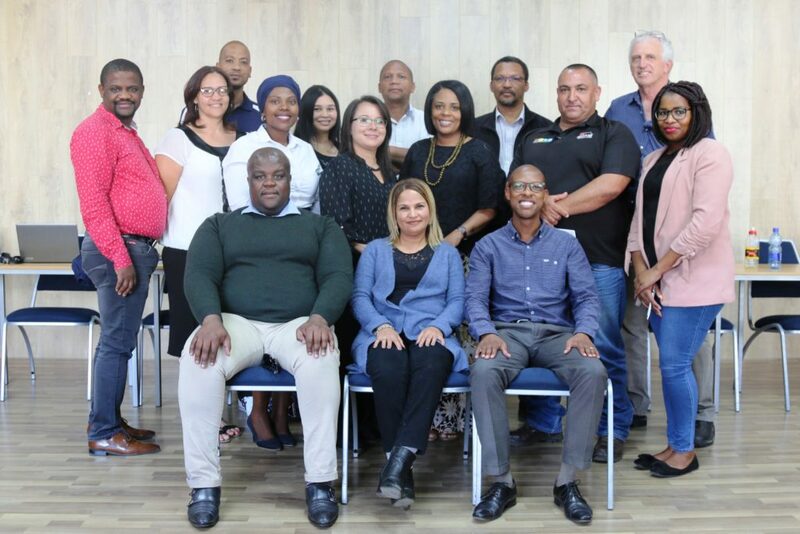 Garden Route District Municipality (GRDM) recently received an all-expenses-paid invitation (accommodation and flights) from the ISCC Group of Companies in Indonesia to visit them. It was decided that the Executive Mayor of the Garden Route District Municipality (GRDM), Councillor Memory Booysen; the Municipal Manager, Mr Monde Stratu; the Executive Manager: Planning and Economic Development, Mr Lusanda Menze and the Manager in the Office of the Executive Mayor, Mr Siphiwe Dladla, to travel to Indonesia from 6 to 11 September 2018. GRDM came to know of the ISCC Executive Group Chairman and Chief Executive Officer earlier this year during the Garden Route Investment Conference. Based on a concern raised by the Cllr Booysen, about presentations being made by companies who, not often return with tangible outcomes, the Chairperson and CEO of the ISCC Group, Mr Jean Bilala, extended an invitation to the GRDM, to visit their infrastructure projects in Indonesia in order to gain insight on the level and quality of what they are involved in. The Group of Companies includes Ithuba Savings and Credits, LetsCoin $C and the ISC Bank. These companies have a footprint in Germany, the United Kingdom, Hong Kong, Australia, India, Japan, Singapore, Malaysia, Indonesia, Laos, Thailand, as well as South Africa. Their South African branch is situated in Cape Town. Signing of a Memorandum of Understanding (MoU) between GRDM and Ithuba Savings and the ISC Bank eBanking and Investment Solutions. 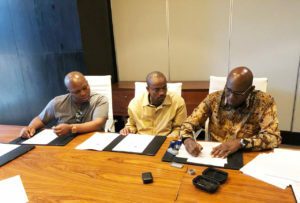 Signing the MoU is Mr Jean B. Bilala, President of Ithuba Savings, Cllr Memory Booysen, GRDM Executive Mayor (middle) and Mr Monde Stratu, GRDM Municipal Manager, were also signatories to the MoU. The Group of Companies mainly focuses on technology, artificial intelligence and investment, and is a member of the prestige Bloomberg, as well as a lifetime member of International Securities Identification Number (ISIN). The possible establishment of a manufacturing plant for electric cars of which the prototype was already developed and build in Germany (ISC Bank), within the Garden Route District. During the visit, the delegation met with various business representatives in Indonesia, including businesses from India and Singapore, who indicated their intention or expanding and opening business in Africa. The visit was concluded with the signing of a Memorandum of Understanding (MOU) between Ithuba Savings and Credit; Len24 GmbH ISC Bank; E-Banking and Investment Solutions and the GRDM. The purpose of this MOU is to facilitate collaboration between the different parties in matters of common interest, as well as working arrangements necessary, for the implementation of the memorandum. To exchange information and identification of business opportunities to enhance mutual interests for the Garden Route and Western Cape Province. GRDM is committed to positioning itself as a destination of choice for national and international investment and has recently embarked on various high-level engagements to realize these objectives.